In some regions around the world, water is seemingly plentiful with daily rain and running water. Arid regions battle the heat, sun for water. According to the NASA Earth Observatory, only about 3.5% of the world’s total water quantity is freshwater and approximately 1.7% is accessible in surface waters. These numbers show that 7 billion + people are sharing a very small portion of global water, which makes saving water a necessity, not an idealistic goal. There are many ways to help preserve these finite water supplies. More importantly, with the rising water utility costs every year, these measures will help save money as well. 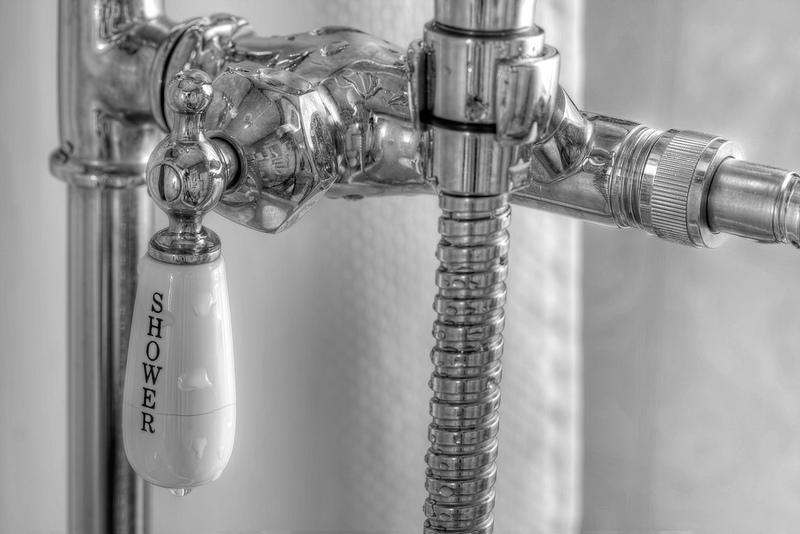 For all faucets and shower heads, an aerator can typically be purchased and installed. An aerator forces running water through a mesh grid. It adds air to the water flow with the same pressure as running water. Most users do not even notice the change, but it can save up to 30% of water in the household. As water exits the shower, bathtub or bath sink, it becomes grey water both in color and in functionality. Grey water is still useable and relatively clean, although it may contain traces of dirt, hair, and soaps. One way to primarily reuse the grey water generated in a household is to collect it and plumb it into the toilets. Then, any flush of the toilet will automatically exit the house and travel to the sewer after two uses. Some space-saving toilets have a small sink above the tank that drains grey water directly for the next flush. Shockingly, some older toilets can use up to 7 gallons (26.5 L) per single flush. This is a tremendous waste during a typical day. Toilets have increased in their technology and can be an easy upgrade to any household. One such feature allows the user to select the water flow for a single or double flush event. This sends the eliminated waste efficiently and only uses a fraction of the required water. If you are unable to renovate the lavatory, a brick or 1L bottle can be placed in the tank itself. That actually displaces the total volume of water and results in less water used during the flush and subsequent tank fill-up. Another appliance that can be improved in water efficiency is the hot water heater. Typically, they are powered by natural gas or electricity and continuously heats and maintains the heat in a water tank until used. Choose the proper size for your household; if not, the last person in the bathroom will experience a cold shower. There are now tankless water heaters that heat the water in the pipes right before it enters the faucet or shower head. A Plumber could determine which option is best for your household, or if the new type could be retrofitted. Current appliances are becoming ever more efficient. Dishwashers and washing machines can not only save energy but will save water with each cycle. 3) How much water is used per cycle? 4) How much energy is used per cycle? 5) Function for smaller, more efficient cycles? High-efficiency appliances in present technology require less water, energy and detergent. Do keep in mind that all cold-water cycles pipe water directly into the appliance and bypasses the hot water heater. Hand-washing in a sink or basin can also be an alternative to these appliances. This always uses less water, soap and energy. If one basin is filled with hot soapy water, the second basin would be used for rinsing. Once the basins are filled, the faucet can be turned off, to further save water. Pre-soaking soiled clothing or dishware is a great method for proficiency. Sometimes an overnight soak is just what is needed for hard-to-clean tasks; while using a fraction of the water. Often, we do not even realize how much water we even use that month until we receive the water bill. The bathroom is probably the easiest way to start saving water. During teeth-brushing and hand-washing, simply turning off the faucet during the scrubbing part. 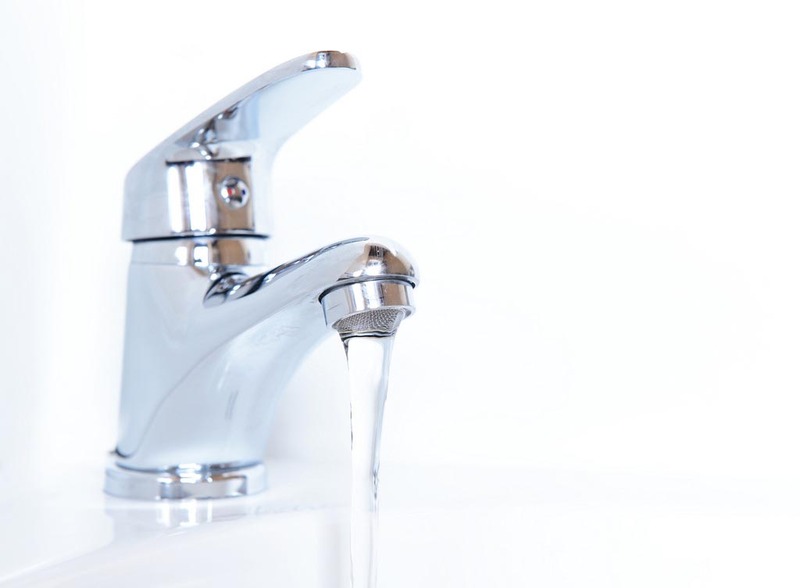 Even then, the faucet handle can be adjusted for low water speed or a trickle. The age-old debate about showering versus bathing has to be discussed. A bathtub capacity is 35-50 gallon (132-189L). A shower, depending on the efficiency of the shower head spends between 1.5-3 gallons (6-11L) per minute. With the average estimate of showers taking approximately 10 minutes, 15-30 gallons (57-114L) would be used. The shower is the clear winner in using less water. Additional hints can even make showering more efficient. As you are waiting for water to heat-up, place a bucket in the stall. That cool/warm water can be used for watering household plants, filling a fish tank or even giving your pet water. If you use a shower timer, it may indicate how long you actually are taking. A perceived 5 min. shower could be a 30 minute ordeal. Each member of the household could time their own showers. Lastly, it is recommended that as you lather the soap and shampoo or shave, turn off the faucet until you need to rinse off. That hidden savings will reflect nicely on your next bill. Landscaping and gardening is another point of emphasis for water conservation. Depending on your climate, the landscaping could be extensive or non-existent for much of the year. If your household has gutters, rain barrels could be utilized to capture roof runoff. Then, you could water potted plants or garden crops from a previous rain event. Xeriscaping is another option for the yard. It uses water-friendly foliage that does not need irrigation. Finally, grass alternatives can give yards a fun, friendly atmosphere without the extra watering and work.